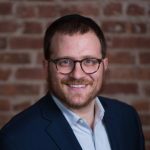 Moshe Hecht is a philanthropy futurist, public speaker and chief innovation officer of Charidy, a crowdfunding platform and consulting company that has helped 2000 organizations raise over a half billion dollars. Moshe is an accomplished entrepreneur whose passion lies at the intersection of technology and charitable giving. His articles have been published publications such as Forbes, Nonprofit Quarterly and eJewishPhilanthropy. When Moshe is not at the office, he is writing music and enjoying downtime with his wife and three redheaded children.